These little bite size gems are decadent, and dare I say-kinda healthy. If my kids beg me for dessert, this is what their going to get. In order to get the most health benefits from your chocolate, you want to opt for 60% cacao or higher. 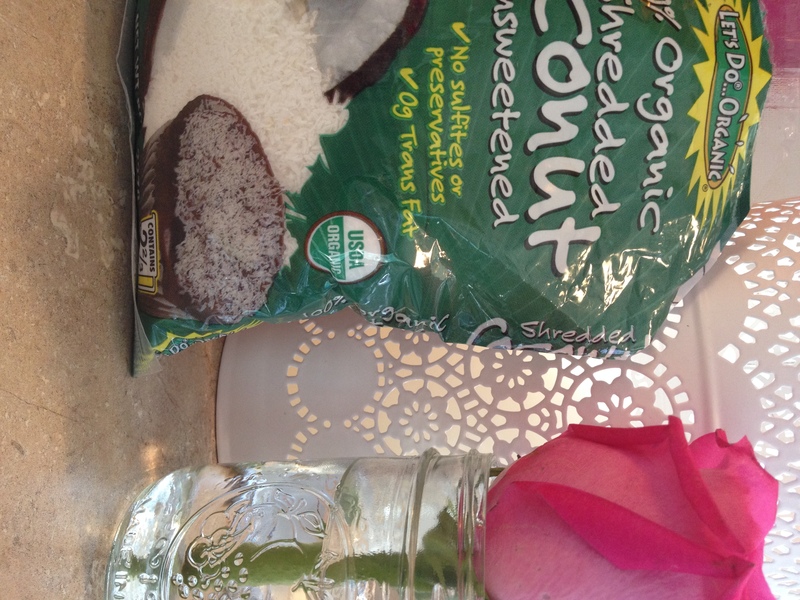 I added organic/unsweetened coconut to some of them because we happen to be a family that loves Almond Joy’s. 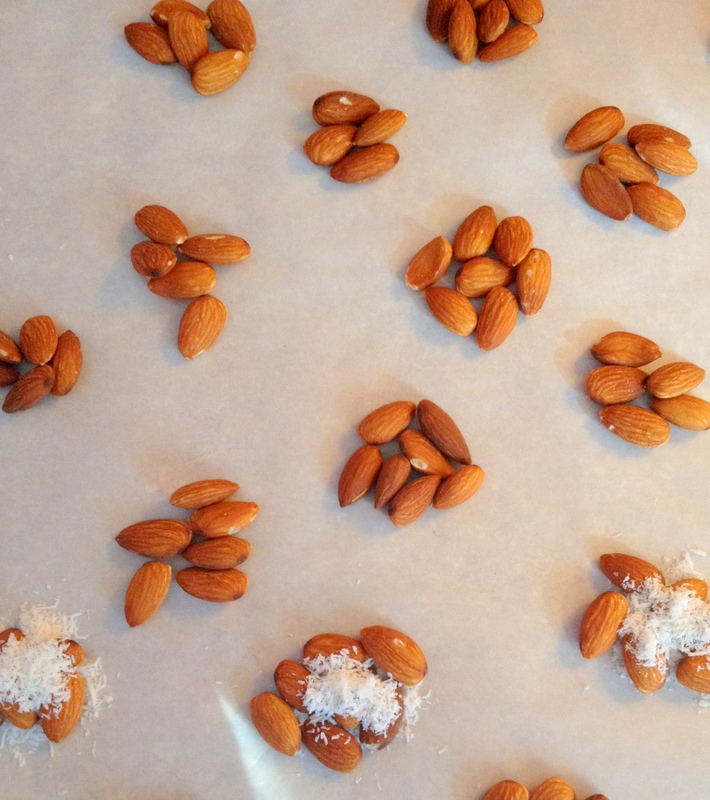 I use roasted-unsalted almonds, but raw almonds would be a better choice for those that are truly trying to maximize the health benefits of these yummy treats. 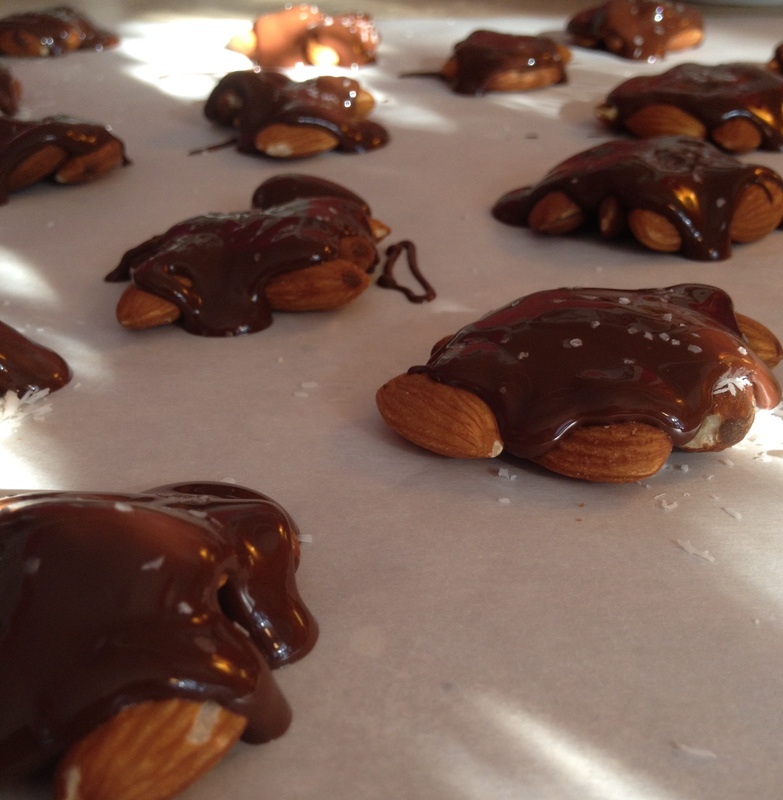 I am not sure how soaked nuts would taste in this recipe, but again, it might be worth a try. For those of you not familiar with this method, soaking nuts is supposed to make them easier to digest, as well as make their nutrients more readily available. I am not a huge fan of soaking, unless it’s to make things like cashew cream, which is delicious! 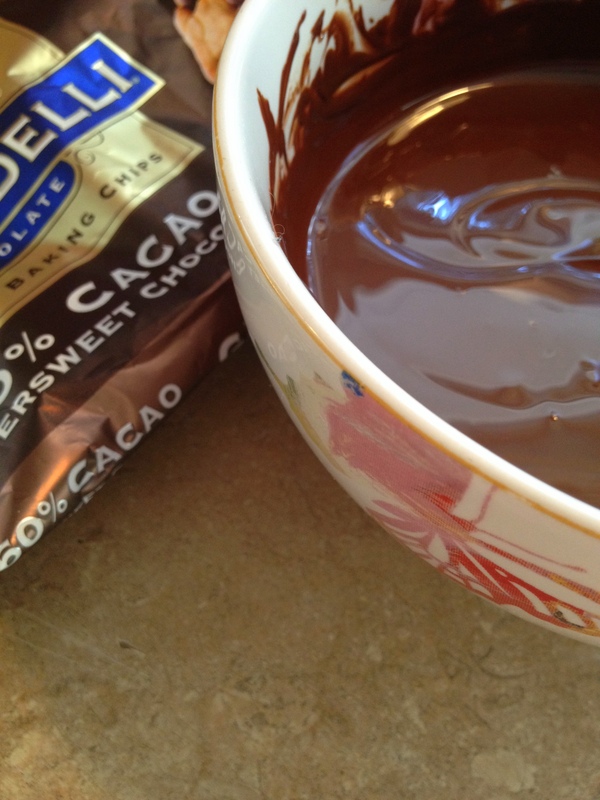 Anywho, Skip the double broiler, and melt the chocolate chips in the microwave-it’s much more convenient! I’m not going to give measurements because honestly, it’s just not necessary. 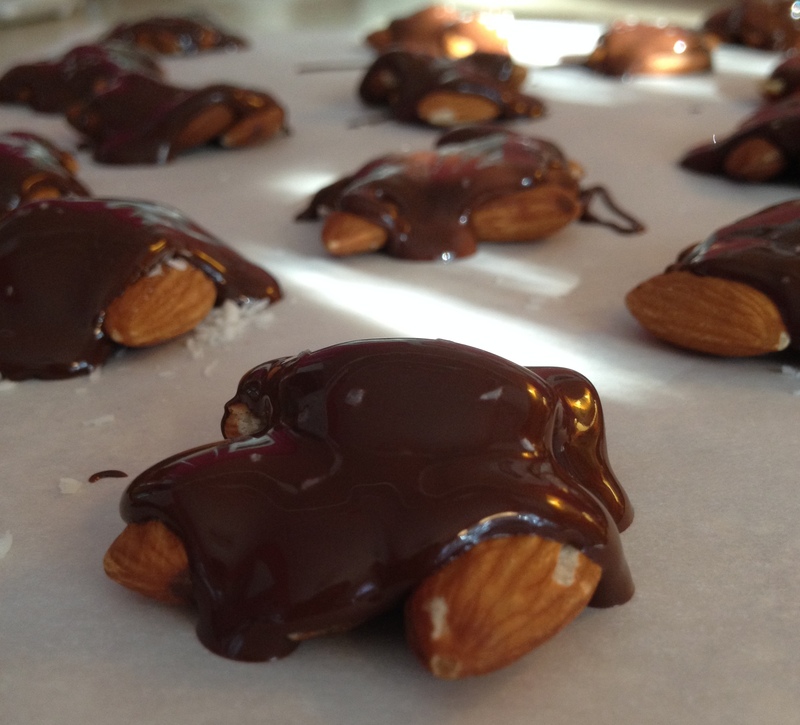 Pile your almonds into cute little mounds on parchment paper, and cover with your melted chocolate. And if your feeling jazzy, dust a sprinkle of chunky kosher salt, or sea salt over the top. Voila!